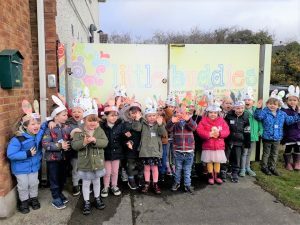 Thank you for taking part in the 2019 Bunny Hop! 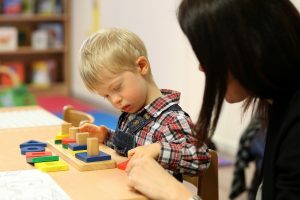 The funds you raise will go directly towards our SKIP programme which prepares young children with Down syndrome for mainstream school. How does the Bunny Hop work? 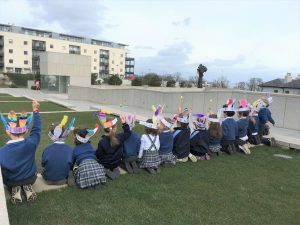 We are asking children in Crèche’s, Montessori’s and Junior and Senior Infants to join the Bunny Hop this Easter and get involved in a simple walk, skip or hop around their local area, in their local park or simply around their Pre-School or School yard and donate €2 to support children with Down syndrome. 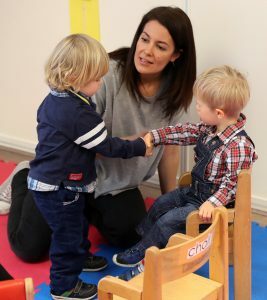 We suggest that your Bunny Hop takes place sometime in the two weeks leading up to Easter Break- Monday April 1st-Friday April 12th. These dates are simply a suggestion though, so feel free to choose a date that works best for your class. To get involved, simply fill in your group’s details through our online registration form below and we will send you a Bunny Hop pack. 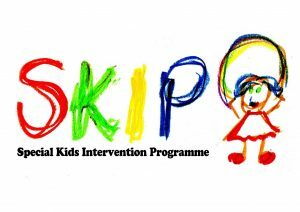 SKIP (Special Kids Intervention Programme) prepares children for mainstream school by targeting all areas of each child’s development, such as speech and language, fine motor skills, gross motor skills and most of all social skills. Take part in our Bunny Ear Decorating Competition & win some fantastic prizes for your entire class!